One of my favorite local sites, The Bold Italic, posted a story today about the fashion stylings of the Chinatown set in San Francisco. 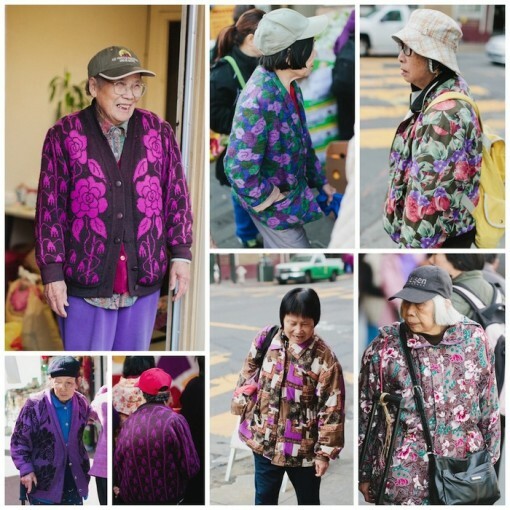 The author, Valerie Luu, wrote of the colorful ensembles made up of layered vests, floral patterns, scarfs, jeggings, and crazy hats, but the subjects of this article weren’t hipsters invading Chinatown, but an older generation – most of them in their 60’s, 70’s and 80’s and immigrated from China. I wasn’t surprised to see so many colorful outfits. That’s because it was so very familiar to me; my mom and grandma have similar tastes in clothing. They love their flowers, colorful patchwork vests, bright scarves and comfortable bottoms all in odd patterns and preferably in deep purples, reds, and pinks. It seems as they get older, the brighter and funkier their clothing becomes. 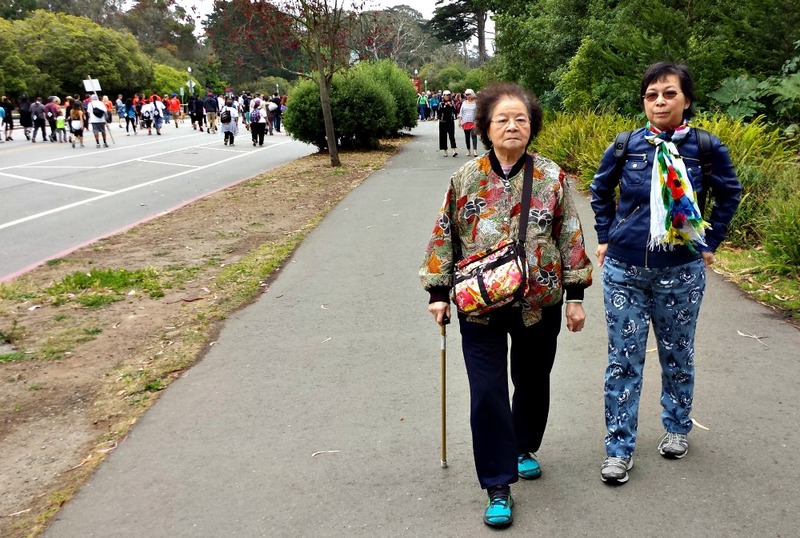 Here they are kicking it in Golden Gate Park in late 2013. My grandma has had that jacket for over a decade. 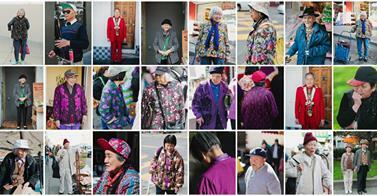 For more San Francisco Chinatown fashionz, go to the Bold Italic.